I was always fascinated with pottery. 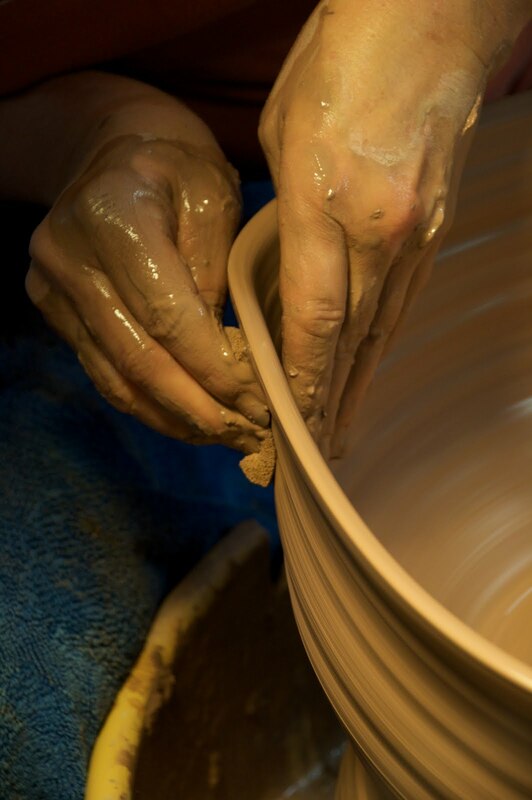 As a child of eight I visited a pottery studio in Silver Springs Florida and as I watched the ball of clay growing into a beautiful vase, becoming a potter became my dream. I had an aunt that was involved with promoting Jugtown pottery and Ben Owen’s pots filled our houses. The first time I sat at a potter’s wheel I tried to make a bowl like one of his. I worked toward that goal through high school, spending every spare minute on the art room potter’s wheel. My training was formalized at Appalachian State University, where I completed over 20 hours of Ceramics Technology and other crafts courses and I have continued my education with various workshops since. 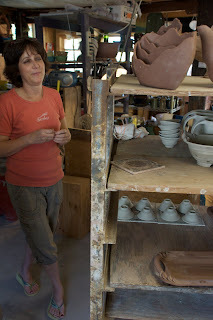 After graduation, I apprenticed with a production potter to home my skills. Since 1982, I have been producing pottery outside Statesville, NC ,as well as working as a resident artist for the Hiddenite Center for the Arts demonstrating and occasionally teaching workshops and classes. In 2000 I moved to Pfafftown outside of Winston-Salem NC and stayed there for 10 years while enjoying the convenience of a bigger city population. Over the years, I have shifted from one style and pallet to another, offering a couple of styles to choose from. With my move to Fonta Flora, Burke County in 2018 and a smaller space, I've chosen to reduce my offerings to what reflects the rustic inspiration of my surroundings.